A hydropower generating station is comprised of many pieces of equipment, but only one, the generator, produces electricity. To ensure production, the generator must be driven by a turbine that spins, powered by water. The electricity produced by the generator is raised to very high voltages by a transformer and then travels along power lines. 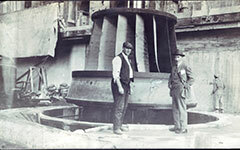 The main section of the turbine is the scrollcase which begins to turn as water strikes the blades. The hydraulic turbine uses the energy of water in movement and under pressure to create mechanical energy. The turbine is connected directly to the generator by a metal shaft that transmits its rotational movement. 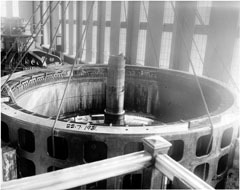 The flow of water and the head determine the type of turbine to install at the generating station. In Quebec, the most commonly used turbine is the Francis turbine, best suited for average to high changes in head and large volumes of water. Propeller turbines are also used for low heads, as are variations of these turbines (Kaplan) with blades that can be adjusted according to the available flow. The generator is made up of two main parts: the rotor and the stator. As their names indicate, the rotor is the mobile section and the stator is stationary. The rotor's outer surface is covered with electromagnets made of wire coiled around a metal core. The stator's inner surface is made up of copper windings. When the rotor turns inside the stator, the electrons in the copper windings vibrate. Their movement generates an electric current. This is a device that steps up the voltage of alternating current produced by the generator. The transformer consists of two coils. Low voltage electric current enters the primary coil followed by the secondary coil, where high voltage electric current is produced and moved towards transmission lines. High voltage electricity is easy to transmit and suffers fewer losses during transmission over long distances. 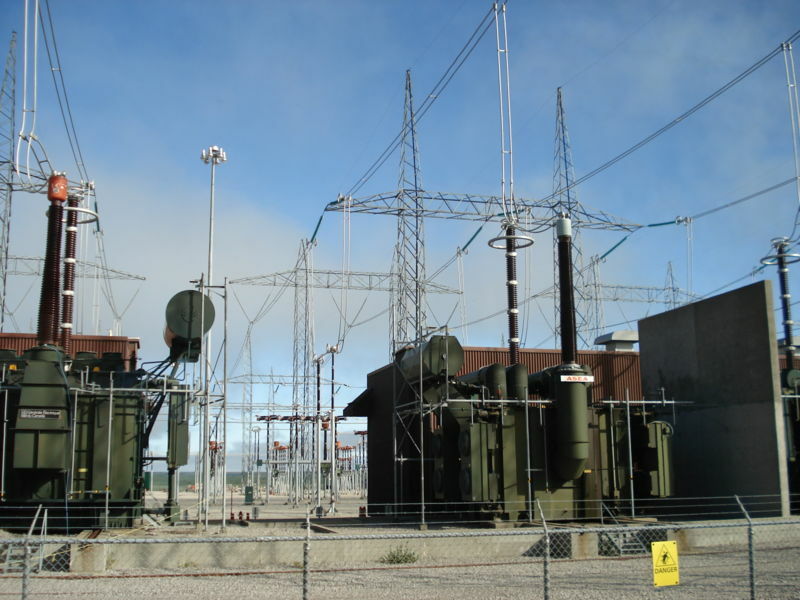 There are also transformers that step down the voltage of electricity from transmission and distribution networks. In this kind of transformer, the primary coil receives high voltage electricity and the second coil reduces the voltage.